Doctor Who is one of the great television series to come out of the BBC. It tells the story of a time traveller in an old style 1950's police box called the TARDIS: time and relative dimension in space. The Doctor is a Time Lord and a scientist from the planet Gallifrey. The Time Lords are a race of superior beings who have discovered the secret of time travel. He travels the universe to observe and gather knowledge and should not interfere with the affairs of other planets. But when he does, he gets into serious trouble with his home planet. But now Gallifrey has been destroyed and he is the only Time Lord left alive. He seeks company, companions, and many have been from the planet Earth. They travel with him on many adventures, sometimes hindering the Doctor, sometimes saving his life. They never stay with him forever. When dying, the Doctor has the power to regenerate his body. It looks like the Doctor will wander through the realms of time forever. Has fought many battles with his arch foes, the Daleks and the Cybermen! 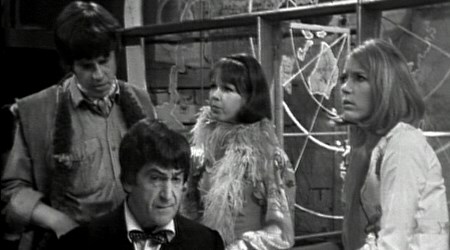 Doctor Who was first transmitted in 1963 and has been played by numerous actors both on television and film. My favourite is Patrck Troughton. He came in at a difficult time for the series. It was the first regeneration and was so different to the first Doctor played by William Hartnell. 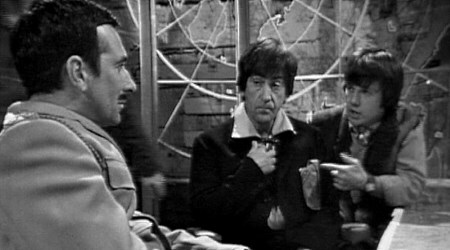 Troughton was superb as the Doctor, with humour and flair and was so believable. Of the new generation of Doctor's I must say David Tennant was very good, but the new younger Doctor portrayed by Matt Smith had something about him. His acting was flair like Troughton, and he captivated the part with vigour and excitement ably assisted by Amy and Rory. Doctor Who is still going strong today with new doctor Peter Capaldi, who is bringing out an ever changing side to the Doctor.